So what does this mean to you? 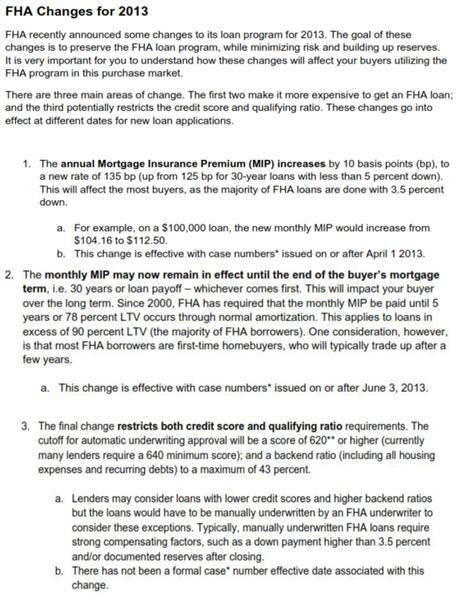 If you plan to get an FHA loan and lock in your rate after April 1st, you will most likely pay a higher mortgage insurance amount per month, and that mortgage insurance will be tied to your loan for the life of the loan. If you're on the fence about buying, now is the time-- don't wait. Do you have additional questions about these changes? Contact Richard Hilton with Allen Tate Mortgage at richard.hilton@allentate.com. Or you can email or call me, and I'll lead you in the right direction.